From promoted ads to organic and engaging content. 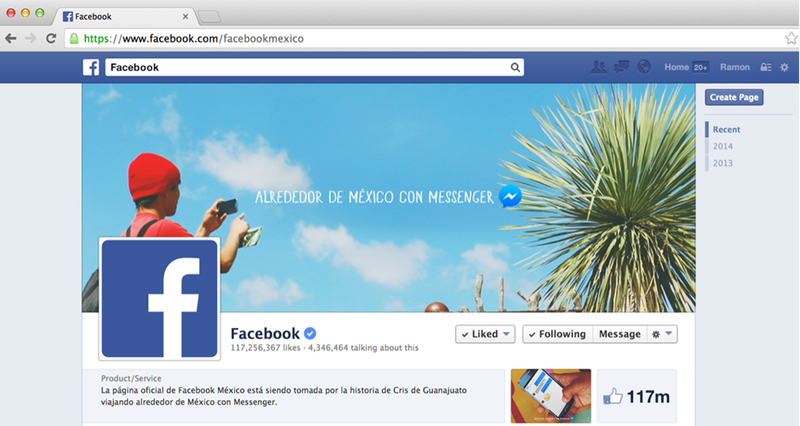 in 2014, Facebook was having difficulties breaking into the emerging Latin American market of Mexico. When we had to launch Facebook’s new Messenger app in this competitively crowded market, we knew that focusing on features wouldn’t be enough. 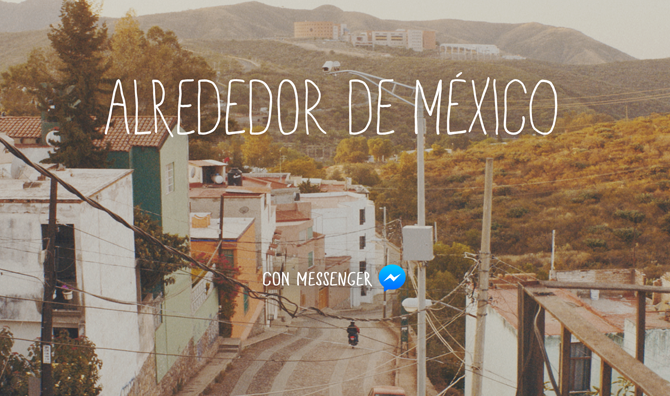 To prove the value of the Messenger App, we knew Mexican customers needed to be convinced that the product would add value to their lives, not only in the virtual world but in the real one. We knew that focusing on features wouldn’t be enough. So we invited the people of Mexico to help a small town boy accomplish his dream of learning about his home country. Through the Messenger App the country was invited to watch Cris’ journey and how he used the app to keep up with friends back home, meet new friends on the road, and see new sights across his homeland.But more importantly they were asked to use the app themselves to help him along the road providing tips. By proving Facebook Messenger’s emotional benefits, we were able to dramatically increase app downloads while optimizing media spend over our basic feature focused posts. Total reach for the campaign: 200 million, for a total of 257 million impressions. More than 4.7 million Mexican fans engaged directly with our social experiment. 62% of people who saw the ad felt Messenger allowed them to connect instantly with friends. Click through rate increased by 250%. App downloads and installs increased more than twofold while media cost-per-conversion decreased by 40%.